Drop Kick Books: Any Wartime memories? 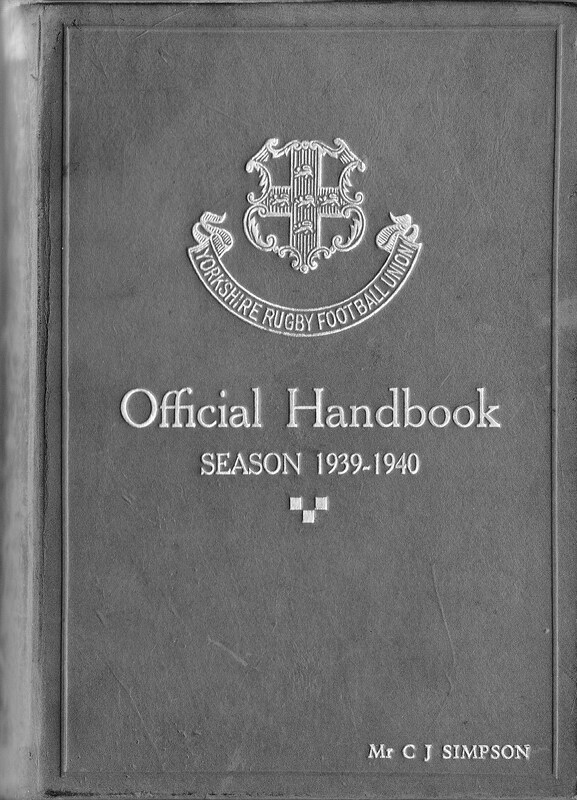 Over the next two months I will be finalising my research into Yorkshire rugby union activity during World War Two with the intention of beginning work on the first draft of the book by October. Before I begin writing, I would be interested in talking to people who either have firsthand experience of wartime rugby or know that members of their family played rugby union, in Yorkshire, between 1939 and 1945. Rugby union did continue but it was organised on a largely 'ad hoc' basis. Old rivalries were often forgotten as clubs combined their resources in order to put fifteen players on the field. 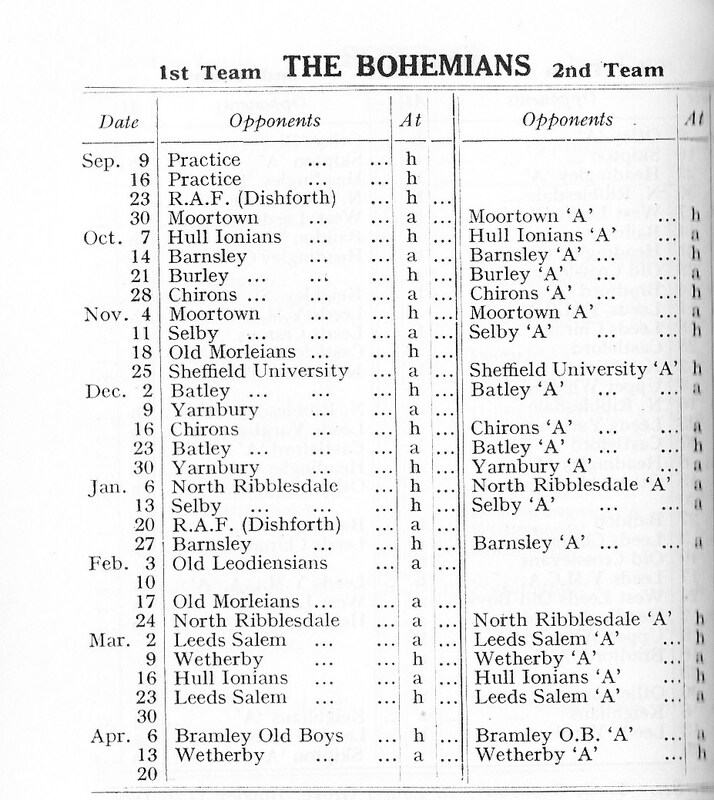 I am sure that anyone with experience or knowledge of what happened at rugby union clubs during the War years would have interesting stories to tell. 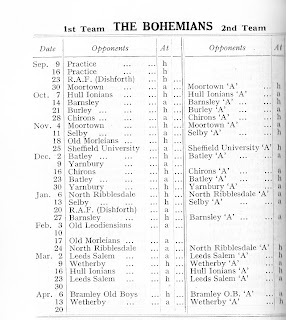 Fixtures had been organised for the 1939/40 season but were cancelled by the Yorkshire RFU on the 4th September 1939, the day after War was declared.. 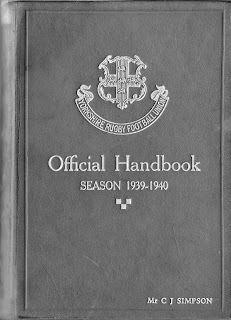 However, despite cancelling the fixtures they contained the County still distributed the 1939/40 handbook. If you have any Wartime rugby union memories that you would like to share please get in touch. Crusaders - will lessons be learned?